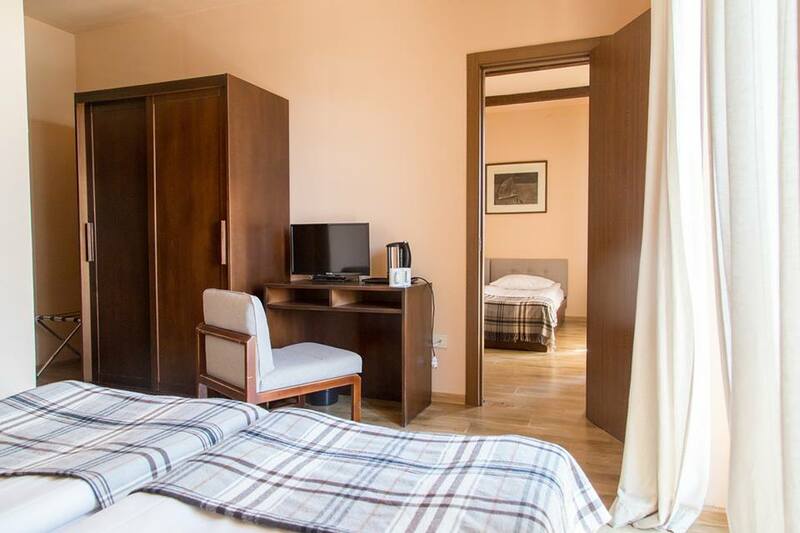 Hotel Alpina is a relatively new and cozy 3-star hotel which was launched in 2014. Offering a variety of entertaining facilities, Alpina is a must-stay hotel for youngsters who enjoy memorable stays with friends. The hotel features 64 standard rooms with stunning views of the Gudauri surroundings. Room prices include breakfast and dinner throughout the year. One of the main advantages of Alpina is its ski-in, ski-out location: the ski lift connects guests directly to the main ski trail. After a fun day skiing, visitors can spend time in the fireplace lounge, enjoying a drink with delicious local food. 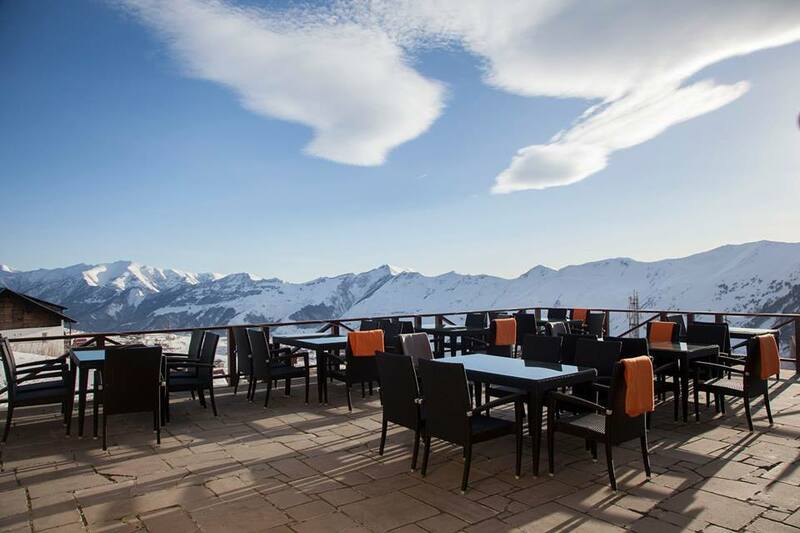 The terrace of Hotel Alpina, which overlooks the heart of Gudauri, is a favorite spot for destination weddings and outdoor gatherings. Alpina offers entertainment facilities such as billiards, air hockey, table football, DJ and karaoke nights twice a week. Hotel Alpina is the perfect destination for an energetic and fun vacation.